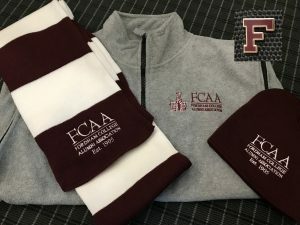 The Fordham College Alumni Association, an independent, non-profit volunteer organization, seeks to strengthen the bonds of alumni – to each other, to Fordham College Rose Hill and to the university. The organization provides scholarships and grants to current Fordham College students and holds professional networking events for alumni. Members are Fordham College graduates and students who have attended for more than one year. To make a donation, please click the “Donate” button on the menu above or see address below – and don’t forget to ask if employer has a matching gift program. 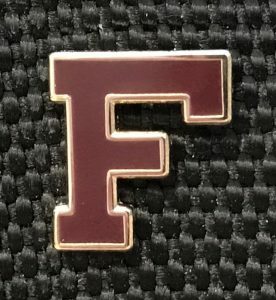 Check out our new Block “F” Pins. 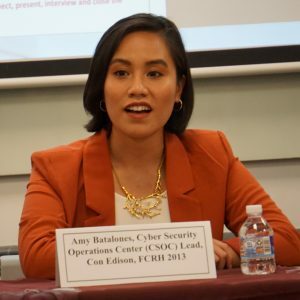 New photos posted from our latest event, presented with the Fordham University Office of Career Services – a panel discussion and networking event with Fordham graduates in the cyber field on best practices for getting a job in the hot field of cybersecurity. This event is sold out, but we are taking names for the waiting list. 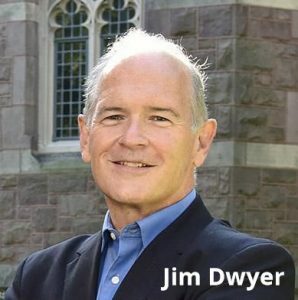 An intimate evening with Jim Dwyer, FCRH ’79, columnist for The New York Times and a two-time Pulitzer Prize recipient. Proceeds will benefit the newly established Rev. Joseph M. McShane, SJ, FCAA Student Achievement Award, designated for a student, not currently on scholarship, who demonstrates extraordinary academic and extracurricular accomplishment during his or her time at the university. The Fordham College Alumni Association is an independent, 501 (C) 3 volunteer organization, incorporated in the State of New York, and chartered separately from Fordham College at Rose Hill and Fordham University. Fordham College Alumni Association 2018 © All Rights Reserved.